I’ll disagree with him a bit about students staying on their parents’ insurance until 26: grad students in particular are often on perilously thin resources and many have started families by this time. There’s a natural urge for parents to help their offspring (and maybe their grandkids) out by keeping them on their health plans a while longer. However, this should be worked out by the market — between company and consumer– and not by government mandate. Just look at who runs the Democratic Party today. You’d think this would be obvious, but too many people fall for the siren’s song of “economic justice,” or whatever the leftist claptrap of the week is. It’s Finland, sadly, not the US. We can only hope that, in the next administration, the idea of capitalism will catch on… in the USA. You’re probably surprised by the title of this post. You may even be wondering if President Obama had an epiphany on the roadto Greece? I don’t mean to burst your bubble, but the leader we’re talking about isn’t the President of the United States. Instead, we’re talking about the Prime Minister of Finland and he deserves praise and recognition for providing one of the most insightful and profound statements ever uttered by a politician. He explained that the emperor of Keynesian economics has no clothes. 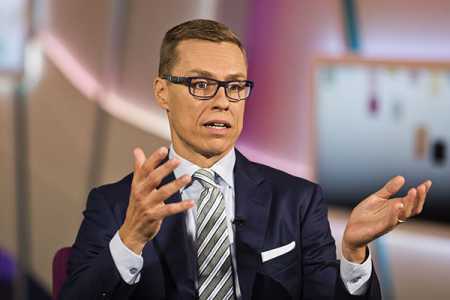 As reported by Le Monde (and translated by Open Europe), here’s what Alexander Stubb said when asked whether European governments should try to “stimulate” their economies with more spending.